Interesting to learn that the moral "Apple" has only happened since Cook took over then? Here's another layer for arpydave's onion!!! I think I'm reading in other places the FBI wants the encryption technology from Apple. They aren't satisfied with Apple opening this phone. Here's some more on the whole 'discussion'! Glad I have an Android but if the government wins this then I'm sure they'll want the same 'back door' from Android too. Apple's is the one they can't crack ... yet. It's a fine line between security and privacy. I have no doubt they have gotten into their phones, it's now a matter of how to deal with it going on. 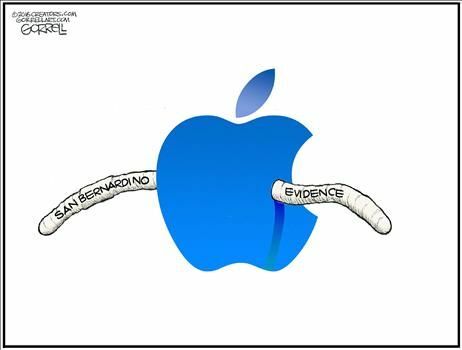 Those Apples have been cracked. The latest iPhone does a factory reset and destroys any data on the phone after the password is entered wrong 10 times. The government cannot use a brute force method to open the iphone. Anything can be cracked after the fact. It's more a matter of of being there beforehand. My opinion is I don't want the dam all powerful government snooping in my cell phone...ever. I don't care who owned the phone and I have an I phone btw. Back around '90 all I needed was my base station, my handheld scanner and my tech savvy guy (cuz I can't soldier circuit board) to jumper things and I was listening to cell traffic all up and down US23. Times change, technology changes, maybe can't do that so well now. But what comes out publicly is usually "old news" by the time it's admitted. Likely just looking for by-in or looking forward. Always will be one step ahead of you. Some of the politics behind this and the 'court of public opinion'!